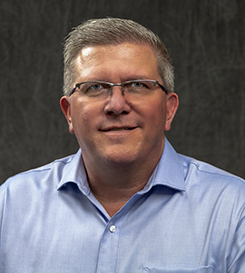 The Tranzonic Companies has promoted Brian Rhoades, expanding his oversight as vice president of operations to include facilities in Sparks, Nevada, and Montebello, California, in addition to the firm’s West Knoxville location. Based in Cleveland, Ohio, The Tranzonic Companies was founded nearly a century ago and manufactures and distributes wiping cloths, personal hygiene products, textiles, washroom supplies and accessories, wiping and cleaning supplies, and safety products. The Knoxville facility, located off Hardin Valley Road, is the largest manufacturing and distribution site for The Tranzonic Companies. Rhoades joined Tranzonic in 2018 as vice president of operations in Knoxville. He has more than 30 years of experience in plant management and operations, previously serving 10 years as vice president of operations in Knoxville for WS Packaging Group. He also has held senior management positions at Newell Rubbermaid in Maryville, Tennessee; Emerson Electric in Marshalltown, Iowa; and Keihin North America, a joint venture of Keihin Corporation and Honda North America in Muncie, Indiana.